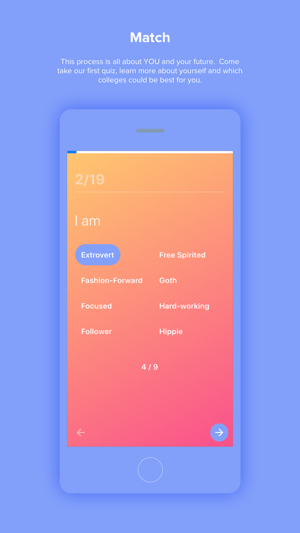 Pointer is a free mobile app designed for high school students to take ownership of their college search and application process. As your personalized college counselor, we dive deeply into who you are, your experiences, personality, skills and desires. We help to identify the college communities where you will thrive academically, socially, and ultimately feel encouraged to be your best self. 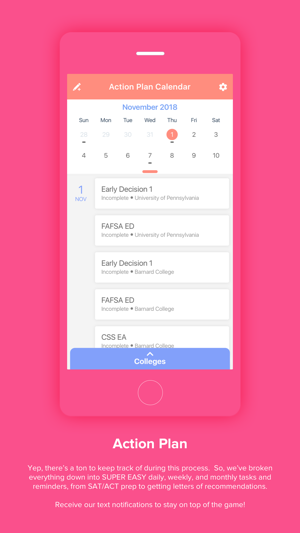 With Pointer, you will feel empowered to find the right colleges for you and tackle the complicated application process with ease. Thanks for all your feedback - keep it coming! 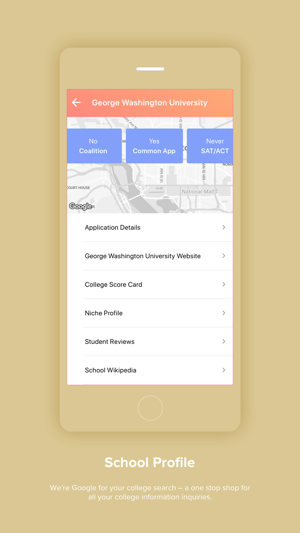 We've done bug fixes to now show full descriptions of college info and action plan items.